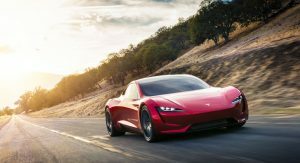 Tesla appears set to use rocket thrusters to improve the performance of the range-topping, second-generation Tesla Roadster. 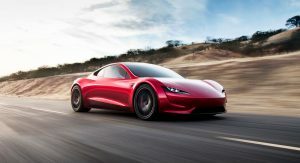 Shortly after unveiling the new Roadster last year, Musk hinted at a future variant using rocket technology. However, it appeared as though he was joking. That no longer seems to be the case. 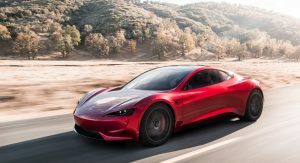 While the rocket thrusters most of us are familiar with use fuel and would be at odds with the all-electric Roadster, Musk says the thrusters will use the same technology as those developed by SpaceX. Consequently, they will be powered by compressed atmospheric air that’s made by a compressor and stored in a tank. 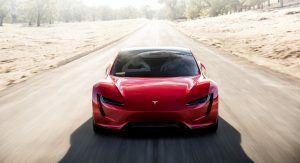 If Tesla mounts the thrusters on the sides as well as the front and rear of the Roadster, it’s easy to imagine how they could improve acceleration, braking, and cornering. 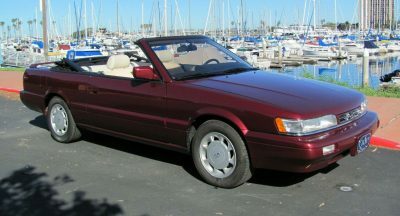 For example, those facing rearward could fire during acceleration while those at the front could fire under braking, acting as a high-pressure air brake. 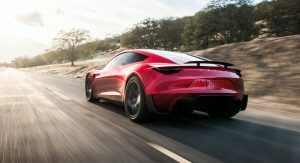 When announced, the second-gen Roadster had a sticker price of $200,000. Adding rocket thrusters could easily double that price but if the car delivers performance to rival multi-million-dollar hypercars, it could still be excellent value for money. I just spit out my coffee on the computer screen after reading the article headline. No joke. Did he ever have it in the first place? You’d have to have a physics background to understand the actual absurdity. And the fact that Elon’s not joking. Let’s see where this goes… If he doesn’t get ousted. It’s not a children’s toy. He only makes these announcements to fools losers into continually investing in his fantasy project. I don’t doubt that’s part of Tesla’s marketing and funding plans. Pie in the sky ideas are intoxicating, but you need to be sober to make them work. Investors (smart investors that is) are free to indulge on the same idea as Musk is presenting, but wouldn’t sign away any capital on the balance of a GC video of a car taking off from a stretch of road. It’s not costing me anything for his tweets, and tomorrow he could say that he will build an EV that can transform into a giant bipedal mech. If he can rope in a new wave of investors, fine, it’s not my money. But until something concrete is shown, I’m just as skeptical as you are. Nothing Elon says ever happens. He’s all talk. He promised the world a flame thrower and gave out repackaged roofing torches. That is the product of talk and hype. Maybe Elon can use those rocket thrusters to blast himself into space. Never to return. You’re confusing harshness with pragmatism. 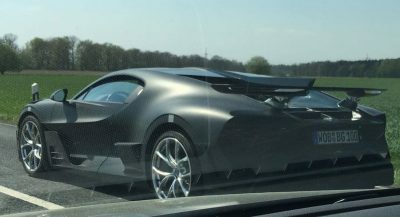 The rockets, and their fuel and plumbing, will add needless weight to what is supposed to be a sports car. The added weight will be negated. Probably, but time will tell how this idea was meant to be presented. Yeah, sure, whatever you say Elon. Keep this up and there is nice padded cell and a straight jacket awaiting you. 0-60 IN LESS THAN 2 IS FAST ENOUGH. SEEMS MUSK IS GOING OFF THE DEEP END WITH THIS ONE. HIS “FUN” FLAMETHROWERS I READ ABOUT TODAY IS ANOTHER ODD CHOICE. Rockets aside, how pretentious do you have to be to claim that the car you are about to make will be the “finest in history”? You’re not Enzo Ferrari, fly down (pun intended) Elon. 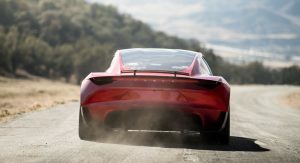 No car in Ferrari’s entire historical line up comes close to the Model S. And Roadster will be better than Model S.
So yes, it will be the finest in history. 1. Musk will be ousted from his job. 2. Tesla will remain unprofitable and go bust with. 3. Musk’s fantasy models will never get built! 4. It could actually be done, but it won’t be exactly as advertised due to engineering challenges. Sorry, but someone has to play the devils advocate. Oh, it could be done, but the way they are hemorrhaging money is beyond the joke now! How sweet! Nice to see you took time away from your Elon shrine to comment. Go light some more candles and stare longingly at his photos. Sounds like you’re being hopeful. Many like you have been saying this for a decade now yet that company is growing. Mercedes owns a 5% stake in it and rather than Tesla going bust and folding up, Daimler (Mercedes), BMW, and VW group will simply team up to buy Tesla and its technologies and keep it going. Don’t mean to burst your bubble but none of your three listed “possibilities” will happen. Sorry but that’s how it goes. Daimler, BMW and Volkswagen would be more likely to take the technology and leave the company to go bust, just like BMW did with MG Rover. Read the article then comment is my humble suggestion. It would help to know that these “rocket thrusters” use highly compressed air, not fuel for propulsion. Amazing, but the car still looks bland. 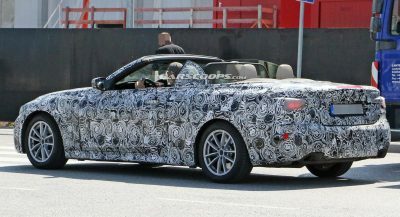 The article states that there are significant changes to enhance the look of the production model. Bosch recently released a video of them testing an uncrashable motorcycle that has rockets on the side to blast the bike upright if the tires slide out on you. 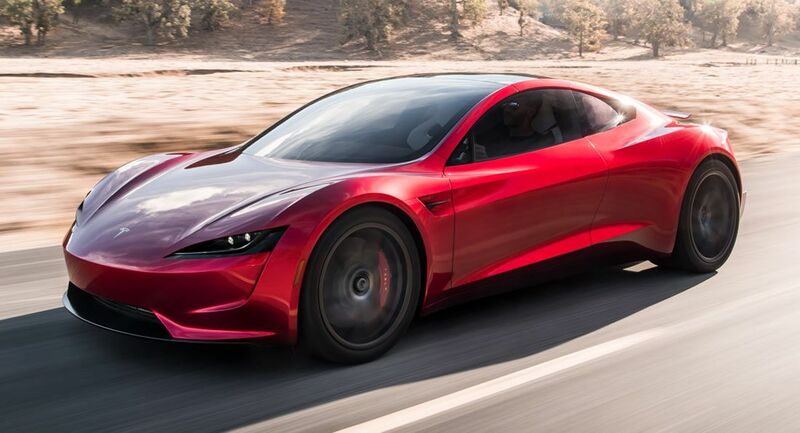 No Tesla can properly yet go around corners like a true sports sedan and they are all far too heavy. 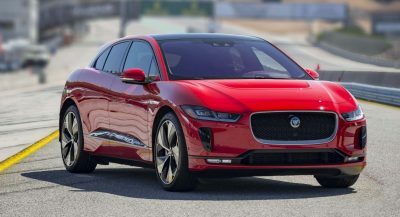 This electric “sports” car looks huge in the photos and will very likely be quite heavy too meaning it will simply be more of the same – awesome straight-line acceleration and thats it. That extra weight is very low in the chassis giving the car a very low center of gravity and incredible chassis dynamics and handling. So if a car had 16 tons placed very low in its chassis it would have “incredible chassis dynamics and handling”? Simply wrong. Less weight is ALWAYS ideal for better handling. IF you must place weight somewhere, low and center is optimal, not just low. Teslas are simply too heavy and no, their handling isnt great, its simply par or decent for the class. I don’t think you know what you’re talking about mate. Funny, you and I share the same sentiment, mate. Sadly, I think a lot of people have seen that Tesla has been their end all. 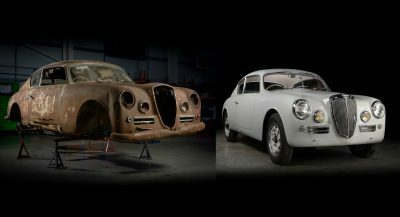 Now imagine if the car shape was now designed to be round and they made it with carbon fibre and other lightweight material and installed 100 or 200 rocket thrusters underneath the chassis…. Flying cars, rather, flying crafts are coming to roads and in the air sooner than we think. And yet you read and comment here….what does that say about you?